It looks like cyclonic activity out there! 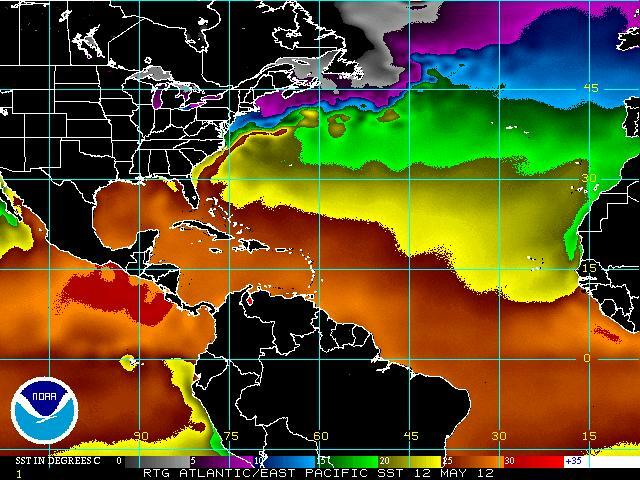 The historical records, going back some more than 150 years, show tropical cyclones occurring in every month of the year both in the eastern Pacific and the Atlantic north of the equator. Despite this fact we have identified those months when tropical cyclone activity is more likely to take place to define what is known as the annual hurricane season. 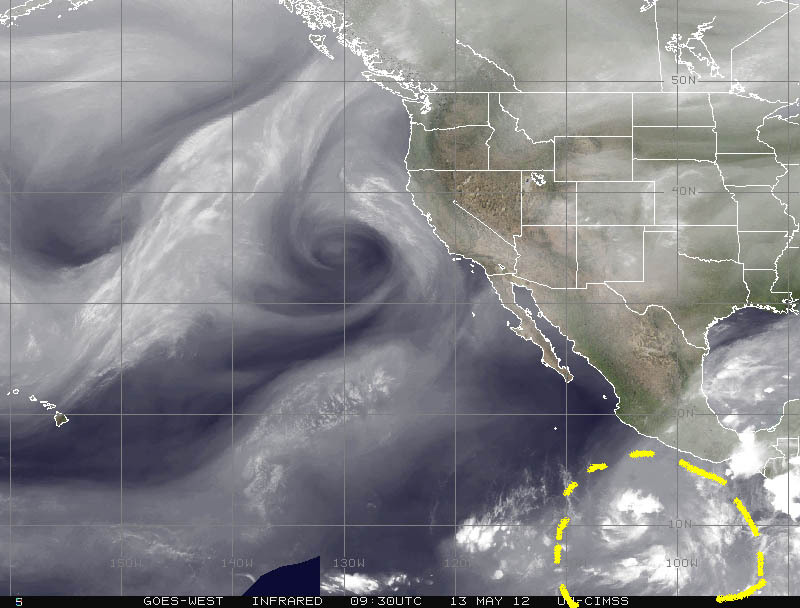 The eastern Pacific hurricane season will officially start this week on Tuesday 15 May 2012, while the Atlantic hurricane season must wait another couple of weeks to officially get started on 1 June 2012. Although Mother Nature will be the one deciding when to generate tropical cyclones in either of these two basins, there have been numerous recent signs that some of the factors that contribute to cyclogenesis have began to get stronger and more organized, laying the foundation upon which a coincidence of favorable conditions could trigger a tropical cyclone at any time moving forward. 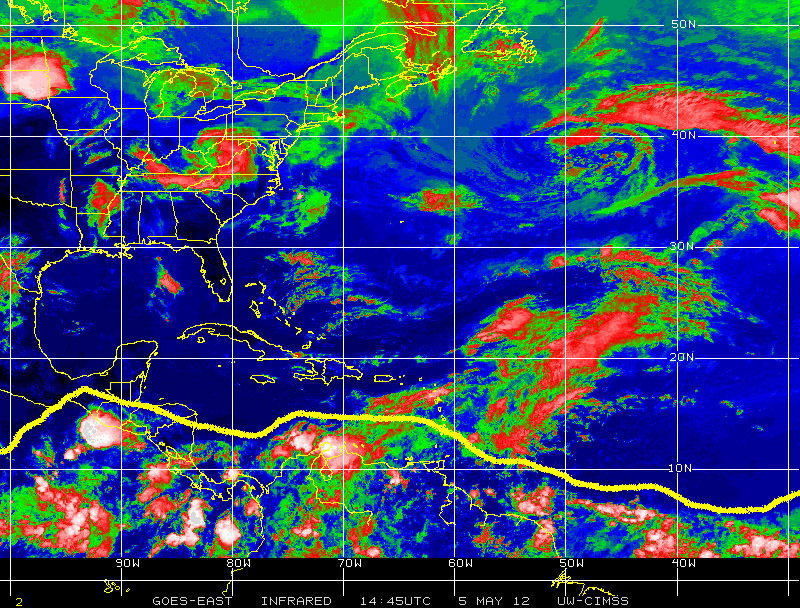 Among those favorable signs we have recently seen the tropical wave assembly line over equatorial Africa become more prevalent to the north of the equator, while the belt of tropical activity to the north of the equator, which had been absent for several months, has started to once again show as a continuous region of rain and thunderstorms reaching from the eastern Atlantic all the way to the central Pacific and beyond. 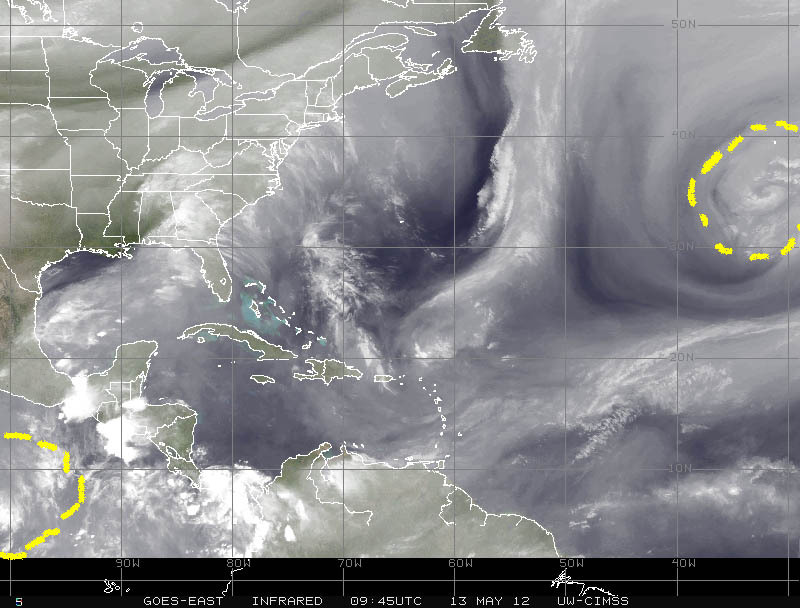 The tropical wave assembly line converts pulses of disturbed weather generated over the Indian Ocean into tropical waves consisting of regularly spaced cells of rain and thunderstorms that move west over Equatorial Africa to eventually emerge over the warm waters of the eastern Atlantic southward of the Cape Verde Islands, aiming for what is known as hurricane alley. In addition to these early signs that hurricane seasons may not be that far off, other activity over the tropical regions of the northern western hemisphere mark the onset of other contributing factors, which include: (a) the development of a persistent region of disturbed weather, marked by rain cells and thunderstorms over the eastern Pacific Ocean to the west of Central America and South of Mexico, and (b) the continuing warming of surface waters over the tropical regions of the north Atlantic and north Pacific oceans. 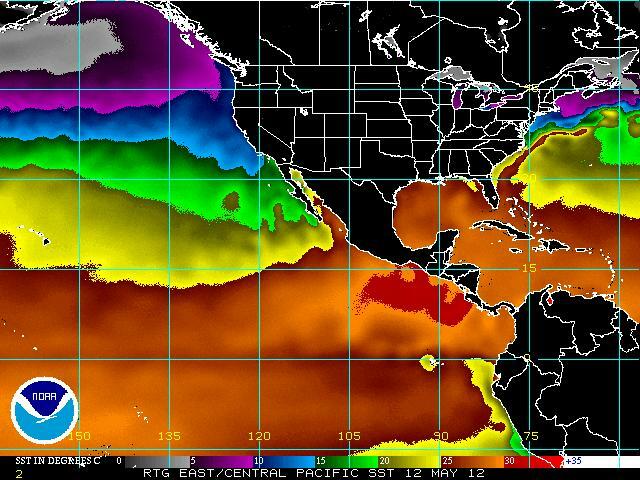 Both of these indicate the heat content in the tropical oceans continues to increase, providing a source of energy for potential tropical cyclone generation in the future. On the other hand the persistent region of tropical activity over the eastern Pacific marks a sub-basin where cyclogenesis takes place. In case more signs were needed, today Sunday 13 May 2012 there are two new signals provided by Mother Nature, one in the Atlantic and one in the eastern Pacific, which tell us to pay attention and keep watching for potential further development. 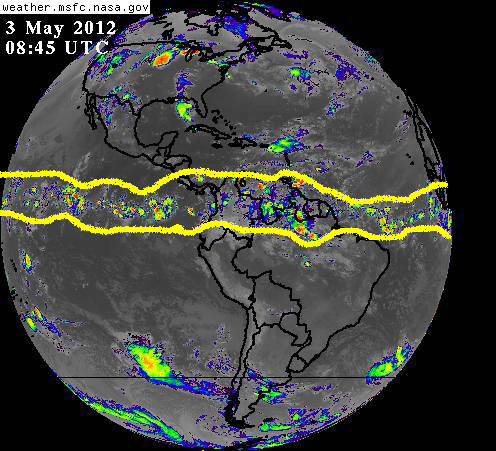 The other signal that has emerged in the early hours of Sunday 13 May 2012 is over the eastern Pacific Ocean some 500 kilometers southwest of Acapulco, Mexico and 1,500 kilometers west of Guatemala. The signal identifies a region of low pressure and disturbed weather moving over rather warm surface waters in a low wind-shear environment, which provide rather favorable conditions for further development and potential strengthening over the next 12-24 hours. 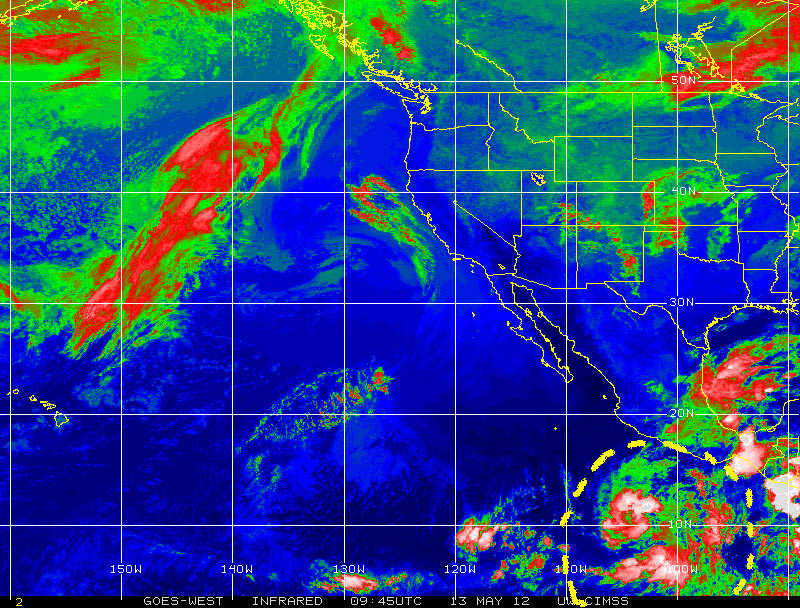 This is clearly a system to be watched, which is being monitored closely by NOAA’s National Hurricane Center. This specific disturbed weather system over the eastern Pacific is moving approximately west by northwest, and it is being given a 50% probability for further development by the National Hurricane Center, which is monitoring it closely. Could this be the first tropical cyclone of the Eastern Pacific 2012 hurricane season, right on target or just a sampler of things to come? Only time will tell, keep watching, pay attention! Be prepared!! Mitigate!!! Related to this, the 26th Annual Governor’s Hurricane Conference gets under way tomorrow Monday 14 May 2012 at the Fort Lauderdale Broward County Convention Center. While the conference will be officially inaugurated in the early afternoon on Wednesday 16 May 2012, a full program of training sessions starts on Monday morning. 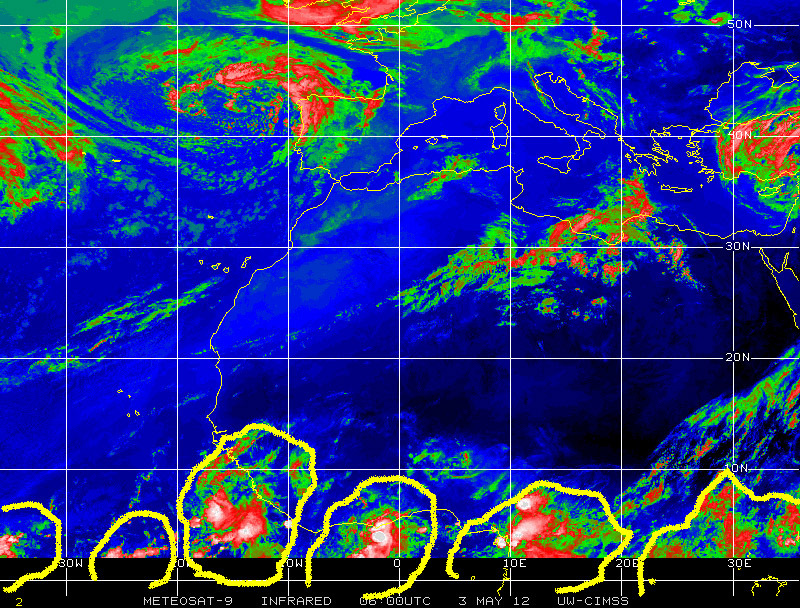 It will be interesting to see if Mother Nature will provide a relevant backdrop in terms of tropical cyclone activity.